We are one of the leading manufacturers and suppliers of high quality Dermotology Chair. These chairs are used by the doctors to examine the patients and are very comfortable for patients as well. It has a high quality cushion & superior furnishing for patient comfort and fully flexible recliner Chair 180 degree rotation convenient for doctor. Every product is quality tested on varied parameters before delivery and are widely demanded these days. We looking buyer of Dermatology Chairs from Gujarat. 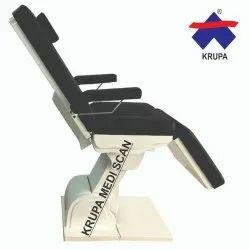 We are one of the leading manufacturers and suppliers of high quality Dermatology Chair. These chairs are used by the doctors to examine the patients and are very comfortable for patients as well. It has a high quality cushion & superior furnishing for patient comfort. Every product is quality tested on varied parameters before delivery and are widely demanded these days. 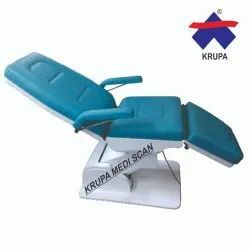 We looking buyer of Dermatology Chairs from Mumbai. Instead of moving back side, doctor may recline the chair back on his front and check the patient very easily.